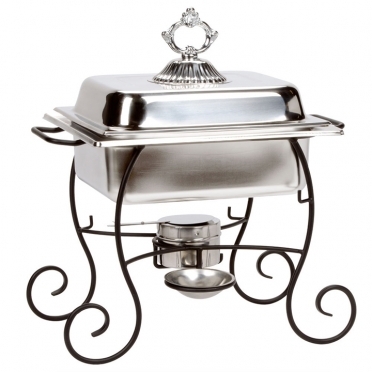 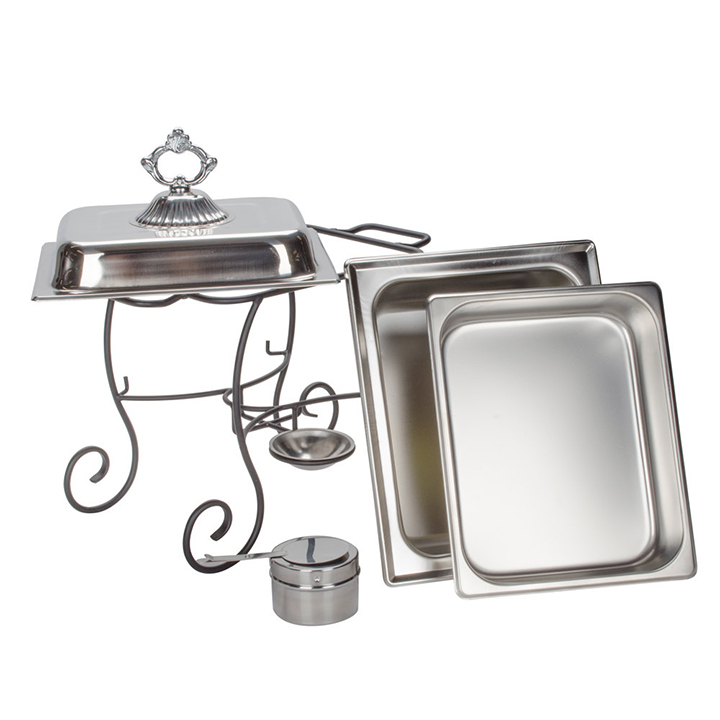 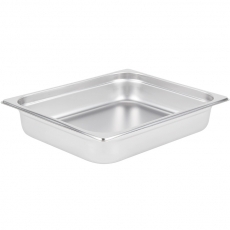 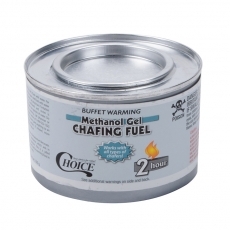 For a smaller brunch or special gathering that requires a place to keep food choices warm, this chafer is a smart option. 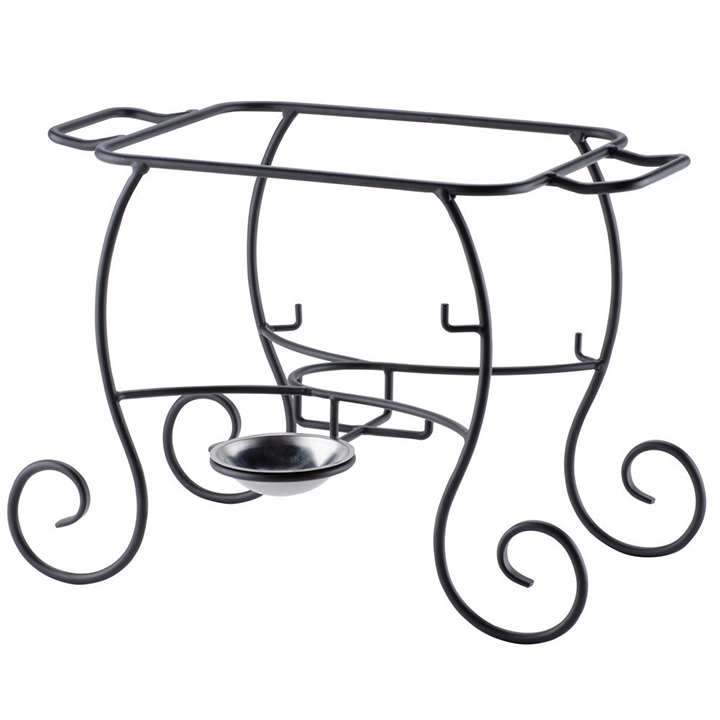 The stainless construction offers a shiny and elegant appearance, and the black wrought iron stand adds a decorative touch. 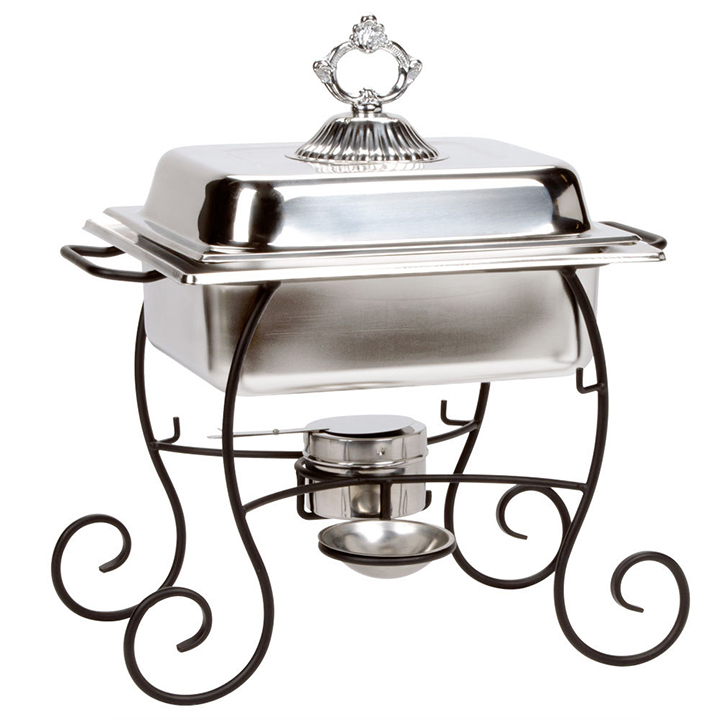 The two handles make it easy to move around your buffet line as well. 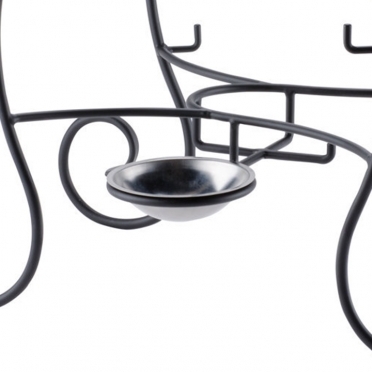 Thanks to the sturdy design, you will never have to worry that this piece will fall or spill over.